The Longue cafe, ul. 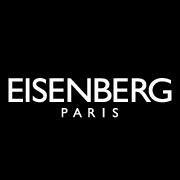 Piękna 18, W-wa, 14:00, 09.05.2013 Beauty Mission: I am familiar with the Eisenberg brand because I use Back to Paris, which is my favorite perfume. What is yours? Patrizia Mazzitelli: Mine is So French!. This is a powerful perfume, a true expression of French fashion and style, a “revealing” fragrance, like velvet. But now I’m also rediscovering Tentation.